Hungry for a deal but it’s too early for happy-hour? Try these Scottsdale eateries that dish up the best bang for your buck, right here in Old Town! New Wave Market’s Ghee Fried Egg sandwich is the perfect go-to bite when you missed breakfast and it’s too early for lunch. 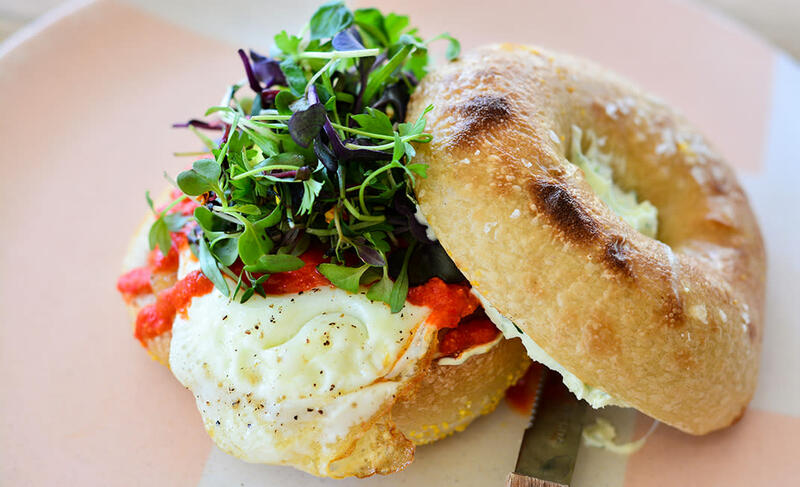 The crispy fried egg is cooked to perfection and complements the micro greens, tomato, hot sauce and chive cream cheese stacked on a toasted sea salt bagel. It’s the perfect breakfast-lunch sandwich combo. Featuring artisan sausages, premium toppings and craft beer on tap, Brat Haus is an Old Town favorite among locals. Their classic Haus Brat is stuffed with parsley, oregano and allspice, making it the perfect sausage for any two of your favorite toppings – their spicy pickled peppers are a must-try! 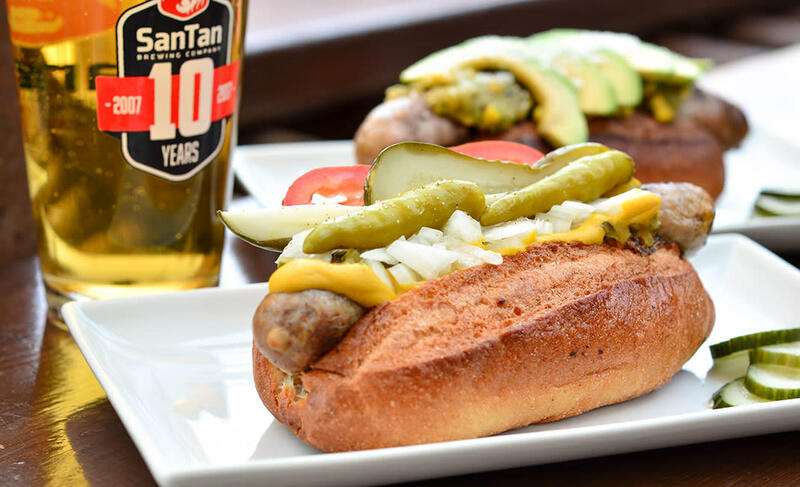 Elevate your experience by enjoying your tasty brat with a craft beer in hand on their open patio while playing outdoor games, like life-sized Jenga, corn hole or darts. 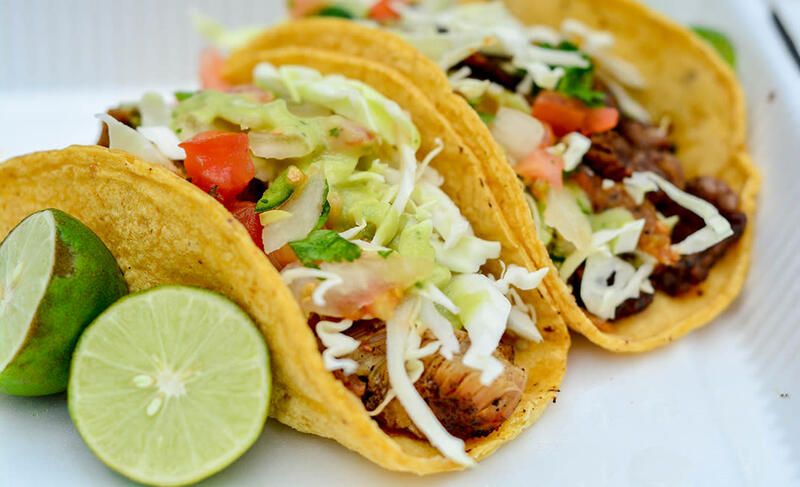 It doesn’t need to be Tuesday to have tacos, especially when it comes to Mr. Mesquite’s delicious street tacos, which at $3 each are a steal any day of the week. They make it quick and simple – you choose between chicken, steak or both combined on a flour or corn tortilla and topped with cotija cheese. It gets even better when you make your way to the toppings bar where you can add lettuce, salsas, and fresh lime! Have some spare change? Go all-out and spend it on an amazing Horchata for an extra $2! Eating clean, and green gets a bad reputation for being heavy on the dollar. However, Original ChopShop has a list of hearty salads for those of you looking for a healthy lunch. 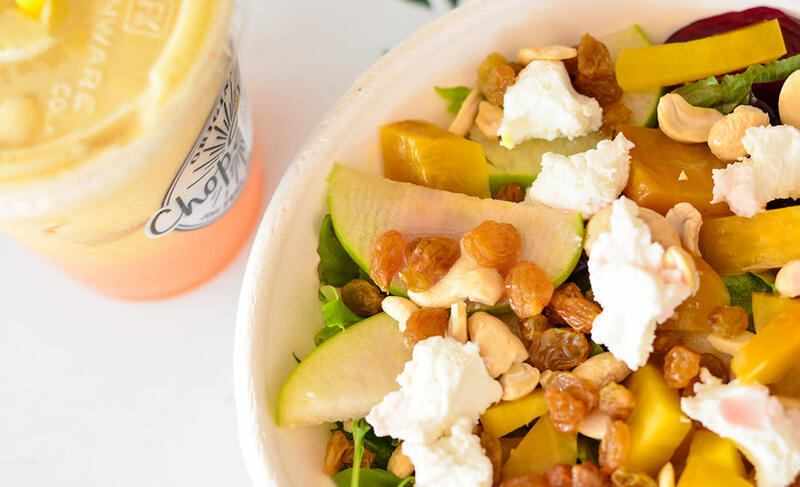 Their Beet Salad (my personal favorite) is full of vibrant greens, sour green apples, golden beets, goat cheese, cashews, golden raisins, and dressed with their signature red wine vinaigrette. With its mix of colors, flavors, and textures, this salad will leave you feeling full and satisfied. Diego Pops is popular for their Brussels Sprout Nachos, but if you haven’t had their Sonoran Hot Dog, you’re missing out. 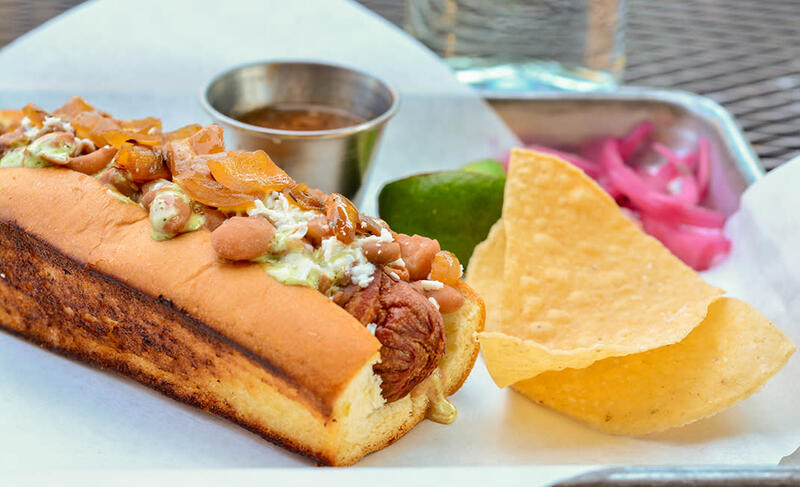 This bacon-wrapped, all-beef hot dog is covered in pinto beans, grilled onions, avocado crema and cotija cheese and served on a fresh brioche bun. Diego Pops definitely knows how to put a Scottsdale spin on an all-American classic.